Friday, 22 March 2019, 11:23a.m. 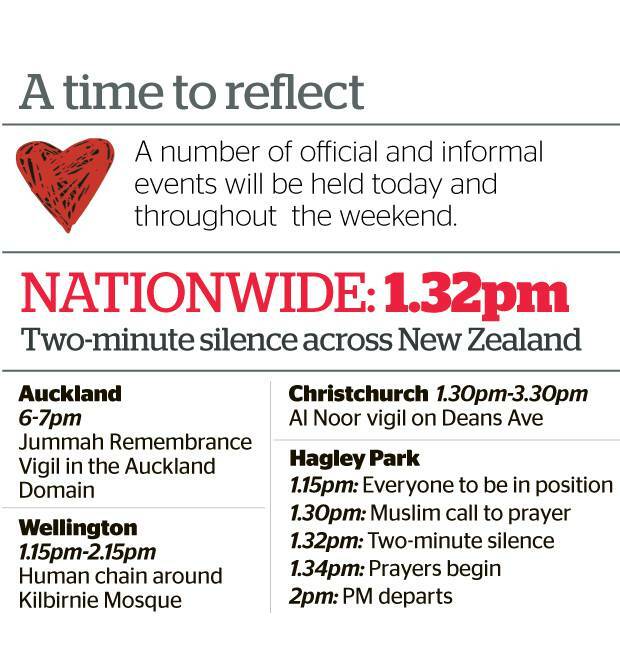 Thousands are gathered in Hagley Park, opposite the Masjid Al Noor on Deans Ave before the Jummah Salah, or afternoon prayer, by 1.15pm. "To the people of New Zealand, thank you. Thank you for your tears. Thank you for your haka. 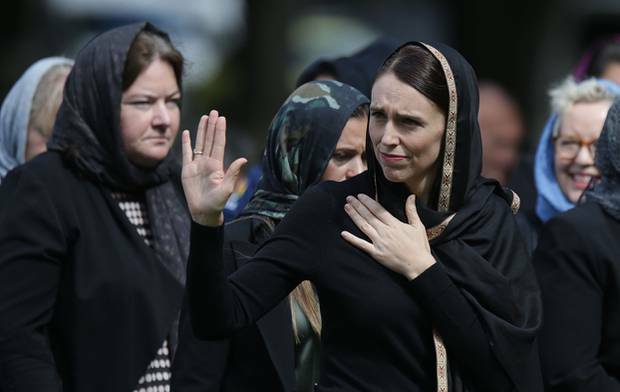 Thank you for your flowers," Fouda told the gathered crowd, including Prime Minister Jacinda Ardern and All Black Sonny Bill Williams. "Thank you to all the wonderful people who have shown us that we matter and are not forgotten. "Thank you to our police force and frontline services. You put our lives before your own everyday. "Thank you to the neighbours who opened their doors to save us from the killer." 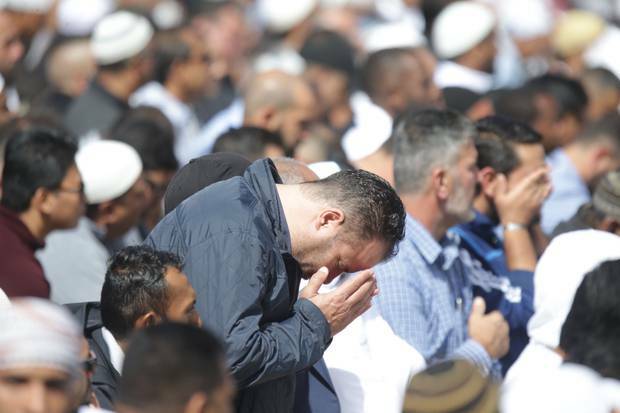 As New Zealand bowed its head and all reflected on the grief of the past week, Fouda's words filled hearts as he spoke of the love that had come from such a tragic event. "Last Friday I stood in this mosque and saw hatred and rage is the eyes of the terrorist who killed and martyred 50 innocent people, wounded 42 and broke the hearts of millions around the world. "Today, from the same place, I look out and I see the love and compassion in the eyes of thousands of fellow New Zealanders and human beings from across the globe, that fills the hearts of millions more who are not with us physically but in spirit. "This terrorist sought to tear our nation apart with an evil ideology that has torn the world apart but instead we have shown that New Zealand is unbreakable," he said. Fouda said that the world should take an example of love and unity from New Zealand. "We are broken-hearted but we are not broken. We are alive, we are together, we are determined to not let anyone divide us," he said, followed by a loud applause. "We are determined to love one another and to support each other. This evil ideology of white supremacy did not strike us first, yet it has struck us the hardest. "The number of people killed is not ordinary but the solidarity in New Zealand is extraordinary, " he said. Fouda addressed the victims and their families. "Your loved ones did not die in vain," he said. "Their blood has watered the seeds of hope. Through them the world will see the beauty of Islam and the beauty of our unity." Fouda said the victims were "the best of us, taken from us on the best of days, in the best of places, and performing the best of actions". 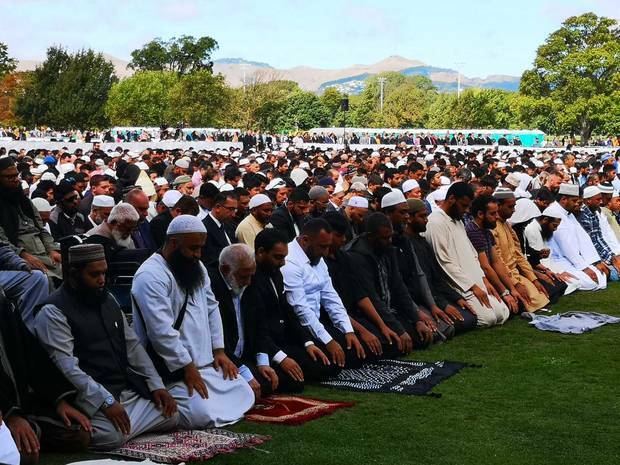 "They are not just martyrs of Islam, but martyrs of this nation New Zealand," he said. "Our loss of you is a gain to New Zealand's unity and strength. Your departure is an awaking not just for our nation but for all humanity. "You martyrdom is a new life for New Zealand and a chance of prosperity for many. Our assembly here with all the shades of our diversity is a testament of our joint humanity. "We are here in our hundreds and thousands for one purpose, that hate will be undone and love will redeem us." Fouda thanked New Zealand for "teaching the world what it means to love and care". 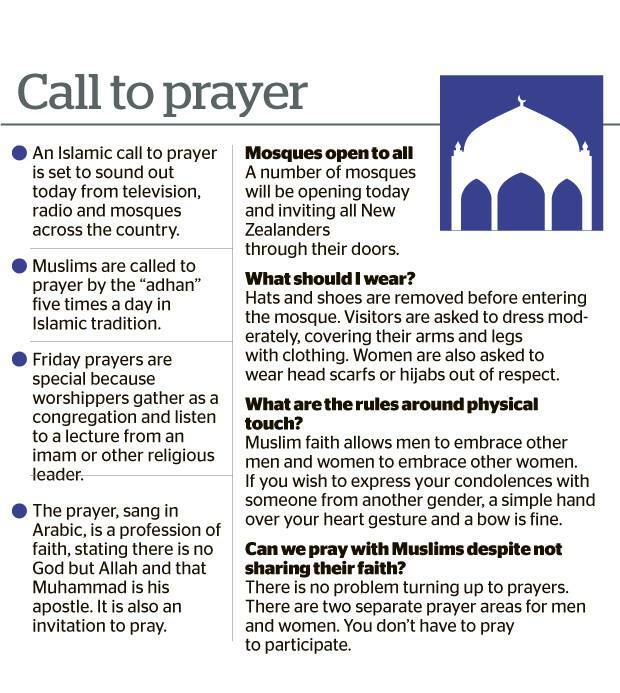 "To my brothers and sisters, those that are here today to perform the weekly Friday prayer. Thank you for coming together once again. It is easy to feel lost after the trauma you and I experienced, but the promise that Allah made us is true. "Thank you for your strength and your forgiveness. Thank you for your anger that is restrained and for your mercy that is overflowing. Thank you for your steadfastness and for standing tall when many others would fall." Fouda then went on to speak about Islamophobia. "Muslim's have felt it's pain for many years. It has killed before in Canada and it's brutality was used against teens in Norway, and against innocent Muslims in the UK, US and other countries around the world. "Islamophobia is real. It is a targetted campaign to influence people, to dehumanise and irrationally fear Muslims. To fear what we were. To fear the choice of food we eat. To fear the way we pray and to fear the way we practice our faith. "We call upon Governments around the world, including New Zealand and neighbouring countries, to bring an end to hate speech and the politics of fear." 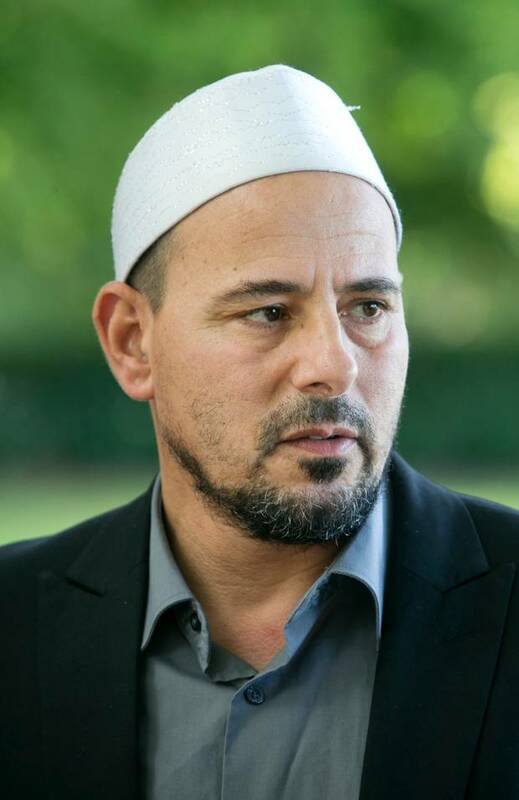 Fouda said the Christchurch attack did not come overnight, but was a result of anti-Islamic and anti-Muslim rhetoric by some political leaders and media agencies. "Last week's event is proof and evidence to the entire world that terrorism has no colour, has no race, and has no religion," he said. "The rise of white supremacy and white wing extremism is a great global threat to mankind and this must end now."